This project provided Chobani with an advanced real-time scheduling and event tracking system in Ignition so that Chobani could easily visualize and share information about its centralized clean-in-place (CIP) system. Operators in Chobani’s KDB control room are tasked with scheduling 150 possible washes on the 18 available lines of the centralized CIP system. They must prioritize certain washes for critical lines, schedule time for wash validations, and quickly deal with changing schedules and other interruptions. Before this project, operators were using a large whiteboard in the control room to schedule these washes. This worked, but the whiteboard was messy. It was easy to accidentally overlook a scheduled wash that could end up delaying production -- especially around shift changes when new operators would take over the schedule. Managers and operators from other areas of the plant would have to walk down to the control room to see the schedule, which made communicating changes difficult. Chobani needed a better way to visualize a schedule, update it in real time, and effectively communicate it to everyone in the plant. Chobani operations approached its automation department and asked for a software scheduling solution. The automation department immediately suggested Ignition and talked to Tamaki about integrating the solution. Tamaki started by using the built-in equipment scheduling component as the foundation for this project. Using Python scripting and SQL, Tamaki first provided a basic scheduling system where operators could quickly add/remove and drag and drop CIPs to their appropriate lines. After the basic functionality had been tested, Tamaki built a sophisticated event tracking system to watch the status of washes and update the schedule in real time. If washes started and were not on the schedule, they were automatically added and other washes behind them were pushed back. Using historical data from the washes, wash times were estimated and updated to provide more accurate information to the operators. Downtime tracking and progress bars were added to the real-time schedule, and an at-a-glance historical view of the washes was also available. Finally, another tab was added to the scheduling system to show equipment that would soon be dirty and help operators filter through the 150 possible washes and prioritize what came next. The direct result has been improved planning and efficiency between production and CIPs. It’s now much easier for operators to keep track of the required washes on every line, as well as make quick decisions in the fast-paced environment. The interactive and automatically updating schedule creates data visualization that is available to everyone, which keeps upstream and downstream operators, supervisors, and managers informed with just a glance. Additionally, using the wash history along with Tamaki’s Plant Replay has helped narrow down several water-hammering issues. Future extensions of the CIP scheduler could include automatically pre-selecting scheduled equipment in the control system, reports to correlate CIP duration with alarm logs, and adding machine learning to automatically suggest a schedule for operators to use. Chobani now has an expandable scheduling and event tracking system that is not limited to CIPs. Scheduling is crucial to all operations of Chobani’s plant, and with the platform built during this project, Chobani will quickly be able to leverage and expand on what Tamaki and Ignition have provided. 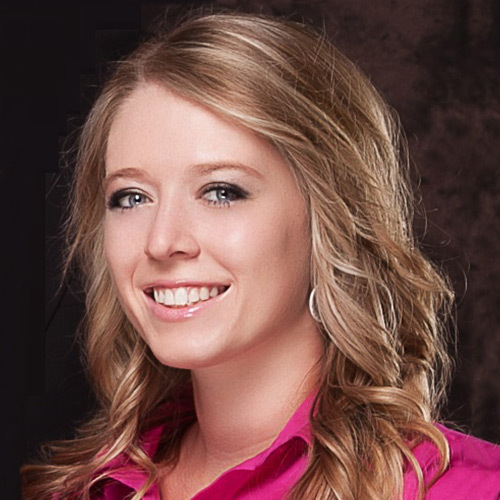 Leah is an automation engineer for Tamaki Control based in Twin Falls, Idaho. When she’s not programming, Leah enjoys spending time with friends and family, rock climbing, playing water sports, and playing piano. Tamaki Control is a specialist automation engineering company offering a range of services including system architecture design, device configuration, networking, functional design specification, DCS and PLC programming, SCADA and HMI configuration, the commissioning and tuning of plants, operator training, performance optimization, and reporting. Founded in New Zealand in 1988, Tamaki has grown steadily and now has offices in North America, the United Kingdom, and the Republic of Ireland. Clients are from a wide range of sectors including dairy, food and beverage, energy, infrastructure, and manufacturing. Chobani was founded in 2005 when Hamdi Ulukaya bought an old yogurt plant in South Edmeston, New York. He called the company Chobani, “shepherd” in Turkish, to endow it with the hard-working and compassionate spirit of the mountain farmer. For the next two years, Hamdi devoted himself to the craft, carefully building his team to ensure quality from the ground up. In 2007, the first cup of Chobani® Greek Yogurt hit the shelf. By 2010, Chobani had grown from one man’s dream into America’s favorite Greek Yogurt, and a new state-of-the-art yogurt factory broke ground in Twin Falls, Idaho. Chobani’s mission: bring better food to more people.